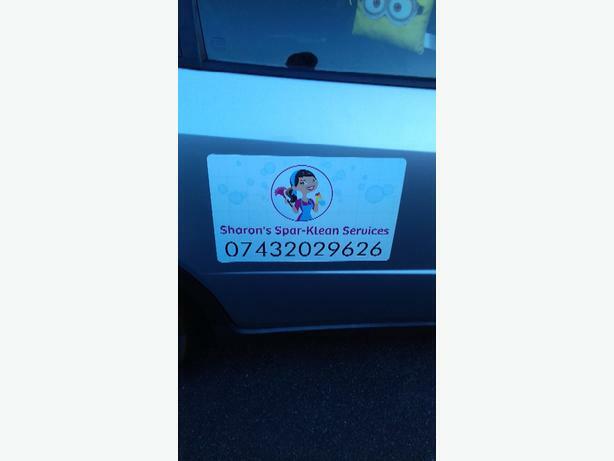 Sharon's Spar-Klean Services. Fast and friendly. Reasonable rates. Choice from everyday cleaning materials or eco cleaning materials. I clean end of tenancy, new build, domestic and commercial, any homes. Over 10 years experience. Special rates for OAPS. I am offering have 5 cleans and get the 6th one half price. Prices start from 12.50 per hour.